Christmas is one of the best times of the year. It means more time for: family, holiday baking, crafting, seeing friends, festivities, food, and the excitement of the season. Yet it always seems like the holiday flies by. Before you know it, it’s February and the wonderful memories begin to fade. 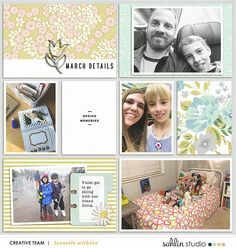 Scrapbooking is a wonderful way to preserve these memories for seasons to come…and along with a chance to document some of your holiday traditions as well. Let’s focus on this and think about some your own personal traditions. How we can find a story behind our traditions? Ask yourself: “What is it that our family does every year at Christmas time?” No tradition is too small. It can even be something as simple as watching holiday movies throughout the season, or a more unqiue tradition: like a Christmas dinner of Chinese food. Every family has their own family traditions. 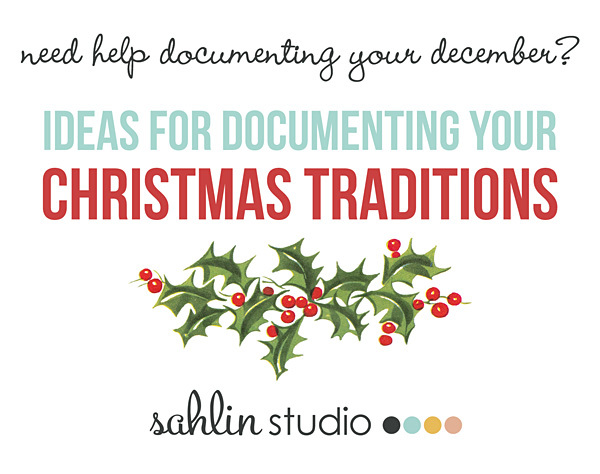 Just be sure that you are capturing these special traditions with journaling and photos. – When do you do this? Is it a particular day each year? – Where did you get the tree? Do you get it from a tree farm? A tree lot? – Who picked out the tree? – What was the weather like that day? – Who does it the trimming? Does the whole family? Is it one person in particular? – Do you have a special nativity set? – How about outdoors, do you light up outside? – Is there something special or a personal memories attached to any of your ornaments? – Who writes them (child or you)? – Do they look through catalogs? – What do you traditionally do? – Do you have a special dinner? – Do you attend church services? – Do you drive around looking at lights? – Do you have a special breakfast or lunch? – when do you open your gifts? Christmas Eve? Christmas morning? – What is the story behind which day you open. Is that what you did as a child? – Sitting on Santa’s Lap (Where did you go? Is it the same each year? What did the kids ask for? 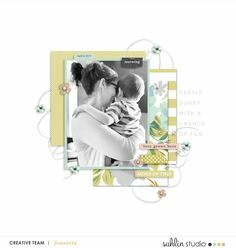 What a great post and beautiful freebie! Thank you!!!! Thank you for the post and the most generous gift. The word art is beautiful. The post inspiring. I hope you and your family have a most blessed Christmas. Thankyou for your gorgeous freebie and the ideas. Awesome suggestions and word art! Thanks! These are fantastic! Thank you for sharing. thank you for the freebie! Can’t wait to use it! These are great! Thank you sooo much. Thanks for the prompts and the freebies! Oh so fun Krista! Thank you so much! 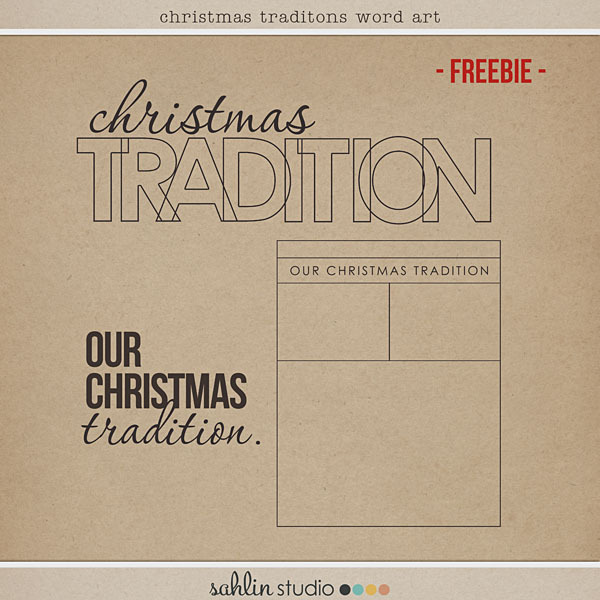 Thank you for both sets of Christmas word art freebies! i always enjoy using your designs. I love your prompts and your sweet gift. Thank you so much. I am pinning this for next year. 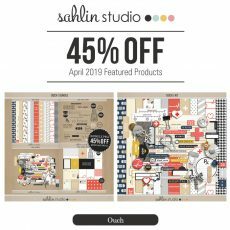 Thank you for the lovely freebies – they are perfect for me because I mostly scrap 4×6. Thank you for blessing us with you wonderful freebies. Could you let me know the name of the cursive font in this freebie? Thanks a bunch. 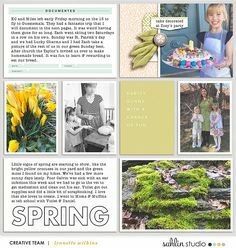 Thank you very much for an awesome post on getting our memories out of our heads and onto the digital page!! Also for the great coordinating word art gifts! Thanks, there are some great prompts in your list! Never would have thought of doing sets of traditions. 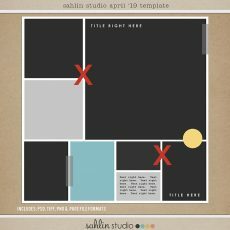 Thanks for the great ideas and the freebie with the chart. Blessings!